ENERGY MONITORING SYSTEM - Indexel Engineering Pvt. Ltd. In today’s world, energy and demand costs have skyrocketed and certainly impact any industry’s balance sheet. To control energy cost, the consumer must gain answers to these questions: How much energy is used? What are the major loads? When and Where electrical energy is used the most? Finally, how much does it cost? It is also important to understand the quality of the power being received. Poor power quality reduces productivity and is detrimental to equipment, which can drive down a company’s profits. EMS is appropriate for Industries, manufacturing plants, commercial buildings or any situation where an electrical system is used. The system provides a centralized Power Monitoring and Control facility. The EMS Leads to savings in the overall cost by having proper analysis of the on line data & report. These savings may be from better utilization of manpower, savings in the energy consumption, non breakdowns in the system etc. Waste and Loss of electrical energy. 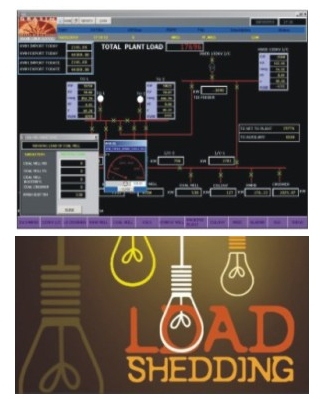 Continuous Monitoring of Energy usage in plant. Daily, Monthly, yearly assessment of consumed energy. Determination of cost involved in production. Load shedding is what electric utilities do when there is a huge demand for elect city that exceeds the generation available. The alternative is to have a brown-out where the voltage is reduced. It costs a Lot to have generators standing by just in case there is a surge of demand, and the operators of those generators expect to be paid whether they run the generators or not. An alternative is if there is a Large consumer of electricity (say, a factory) that could suddenly turn off all its electricity demand, they could agree to do that on request, and it has the same benefit as adding that amount of generation to the electric grid. In fact, it’s better — as there is Less demand on the wires which are often saturated at the same time. That factory has losses from shutting down its equipment and idling its workers, but if the money it gets paid is enough, then it’s worth it. EMS software combines our power monitoring and energy management expertise with industry leading technology for EMS application. The results, software that delivers a reliable and high performance monitoring and control solution to industries where reducing outages and increasing power efficiency is critical. EMS software is designed to meet the user requirements of the most demanding enterprises. Easy-to-use configuration tools enable faster development and deployment of any size application. Also, EMS software ensures easy system integration through support of Mod bus communications to any Energy Meter. State of the art, object-based graphics provide operators with an interactive and user-friendly interface. 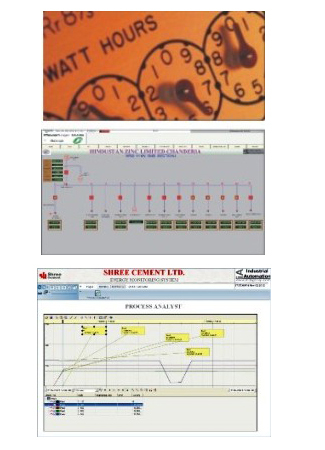 Intuitive commands and controls increase operator efficiency and decrease reaction time to system events. Comprehensive user-based security is integrated into all interface elements ensuring a secure control system. Alarm, Trend and Report Servers scalable. Low CPU and Memory requirements. Based on individual users as well as groups of users. Cost effective, user friendly configuration and operation. No tag limitation, all parameters of the networked meter can be viewed. Alarm for all the parameters can be configured. Variety of online data representation. Database backup and restore option. Reports readily available like Hourly/Daily/Weekly/Monthly/Yearly/Shift.